At Weber Automotive, Inc. we service your foreign or domestic car, van, or truck with a refreshing enthusiastic professionalism that customers deserve. We treat our customers and their vehicles with the individual attention that has become missing in society today. We take the time to listen to our customer’s concerns and provide them with the best, most cost-effective service available. 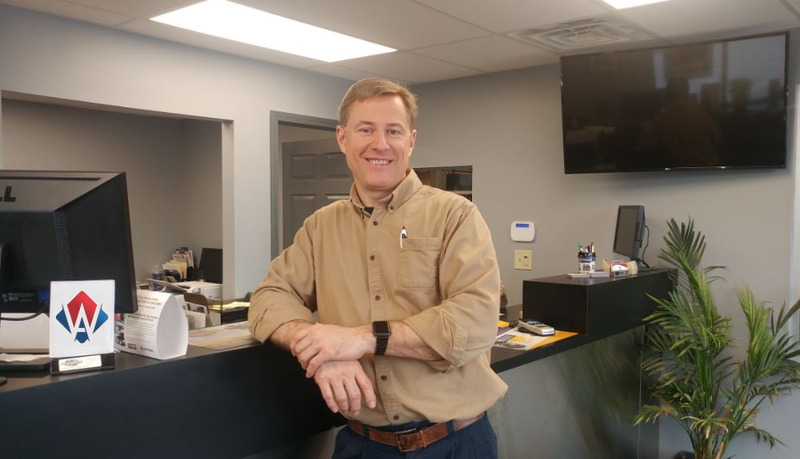 We are an automobile service and repair business that focuses on high quality services and client relationships, developed with honesty and a genuine concern for their best interests. Our clients are responsible vehicle owners with the desire to maintain their vehicle, giving them reliability and maximum value. Weber Automotive was founded in 1995 by Bryan Weber, an ASE Certified Master Mechanic. Bryan has an excellent and long-standing reputation in the automotive industry. He grew up around cars with his father owning a racing engine business and drag racing. He went on to get a bachelor’s degree in Automotive Management at Ferris State University in Big Rapids, Michigan. Bryan pairs his years of experience in auto repair and high-performance racing with a genuine care for customers and their vehicle needs. Bryan’s vision was, and still is, to provide high quality automotive service along with an outstanding customer experience. Bryan realized that our customers are priority number one and we work hard to provide a great experience. Therefore, everyone at Weber Automotive treats each customer with respect, both for their time and their wallet. We will NEVER, EVER, recommend a service that is not needed, nor will we deceive our customer to enhance our bottom line. We carry the latest diagnostic equipment available to help identify problems efficiently. We have 3 ASE certified master mechanics on staff, and we are always attending training to keep up on the newest technology & automotive advances. When you come to Weber Automotive, you can rest assured that we will work to fulfill your needs, whether it is preventative maintenance or repairing your vehicle. We use high quality automotive parts in all of our repairs and service. Most repairs come with a 3 year, 36,000 mile nationwide warranty. We also offer 6 months same as cash financing for those that qualify. We are not your typical automotive repair facility. Stop in or call our office to schedule an appointment, or stop in to say hi. We are your dealership alternative! ASE certification takes the guesswork out of finding a good technician. The independent, non-profit National Institute for Automotive Service Excellence (ASE) tests and certifies the competence of individual automotive repair technicians so you can be assured of their skills and knowledge. To become certified, technicians must pass at least one of ASE’s 40-plus difficult national exams and provide proof of two years of relevant work experience. Prior to taking ASE exams, many technicians attend training classes or put in hours of study to prepare. Today’s complex vehicles demand current technical knowledge. ASE requires technicians to re-test every five years to keep up with technology and to remain certified. All ASE credentials have expiration dates. Bryan Weber (pictured to the right) knows that technicians who have invested the time and expense to earn ASE certification take pride in their work. That shows in the service they provide for our clients. Shop owners and managers who encourage their employees to become certified maintain the same high standards in other aspects of their business. Both Bryan and Tony Zingale (Service Manager) are ASE Certified Master Technicians. Look for the blue-and-white ASE sign at Weber Automotive. ASE-Certified technicians wear the ASE shoulder insignia, and their credentials are often posted in the customer service area.